No Matter How You Slice It, Coborn's Is The Freshest! At Coborn's, we offer everything to complete your food & grocery needs. From a variety of name brand grocery items, fresh meats and produce, bakery items, deli and a liquor department. We recognize that today's shopper is entitled to a selection of superior quality products reasonably priced. 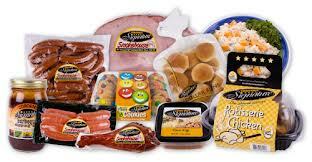 Our store brand products were developed to fill the needs of all our consumers without compromising quality. We take great pride in offering to your family the same our family expects and deserves - great tasting, quality products at great savings!